Don’t be surprised to stumble upon Enterprise customers in Philadelphia doing a double take. 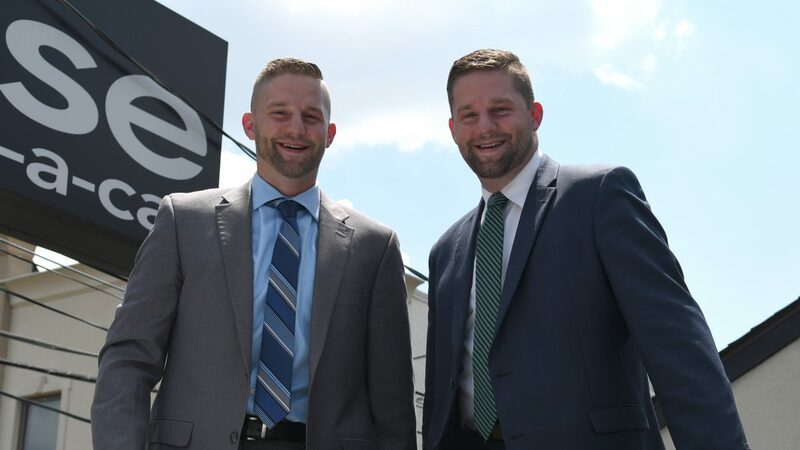 Identical twin brothers Ethan and Ryan M. are Branch Managers at locations just 15 miles apart. While they both sport a similar friendly face behind the counter, they’re on two distinct career paths. It all started about two years ago when Ethan — now Branch Manager in Warminster, Pennsylvania — joined the Management Training program. At the time, Ryan worked for a consulting firm and began noticing how happy and energetic Ethan was about his job. Because of their competitive and driven personalities, Ethan knew Ryan would be a good fit. At one point, the brothers had the opportunity to work together as Assistant Managers for two months at the same neighborhood branch in Doylestown. Today, the siblings’ branches are just a short drive away from each other. And if they find themselves in a pinch, help is just a quick call away. What’s the best part about working with a sibling? It depends on who you ask. Ryan enjoys the competition. Ethan enjoys the heightened level of teamwork … and the referral bonus he received.